Size of this PNG preview of this SVG file: 637 × 473 pixels. Other resolutions: 320 × 238 pixels | 640 × 475 pixels | 800 × 594 pixels | 1,024 × 760 pixels | 1,280 × 950 pixels. English: I have edited Tijmen Stam's dartboard to include the correct terminology for the dartboard diagram. 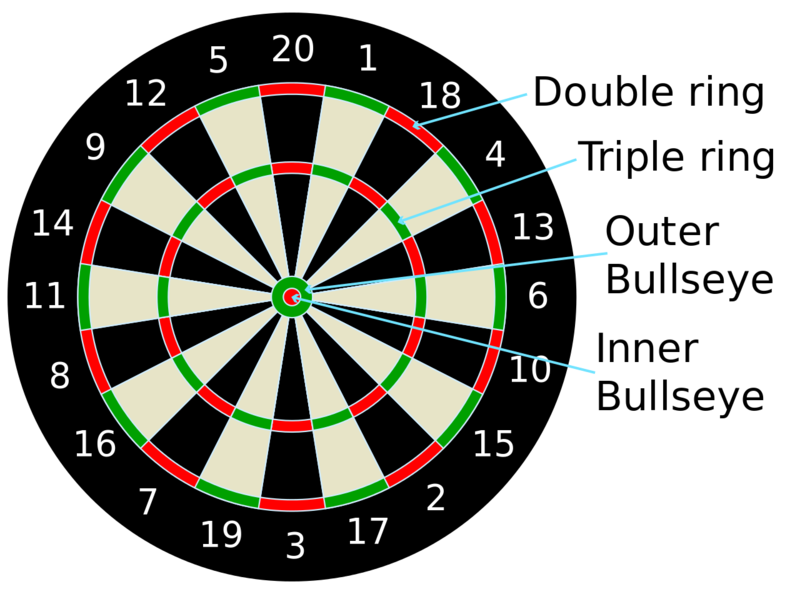 The center circle and ring should either have 'Inner Bull' and 'Outer Bull' or 'Inner Bullseye' and Outer Bullseye', not Bull's eye. This page was last edited on 27 February 2017, at 14:04.